Yesterday was a big day of making massive batches of soups, creamy tomato basil and roasted butternut squash and carrot, and meals for the freezer. Somehow I got so caught up in all my cooking that I lost track of time and stayed up later than I wanted. I think I’m in some kind of winter nesting mode. Well, I made quite the mess in my kitchen from my day of cooking, and the clean-up took some time, as you can see from the picture below. I should mention that I had already run the dishwasher twice that day. Due to having a late night last night, I hit the snooze button a few too many times this morning. Boy was I happy to have made these maple steel cut oats for this morning! With getting my son ready for school and myself ready for work we didn’t have time to “make” much of a breakfast, so having thought ahead I put my maple steel cut oats in the crock pot last night, and voila! Ready to eat as soon as we rolled out of bed, and boy were they perfect for this freezing cold morning. This recipe calls for maple sugar, and I recommend you use it rather than maple syrup. It gives the oats so much more “maple” flavoring! Add all the ingredients (except the toppings) to your slow cooker. Stir to mix. Set the slow cooker on “low” for 5-6 hours or “warm” for 8-10 hours. I advise you to use the “warm” setting. 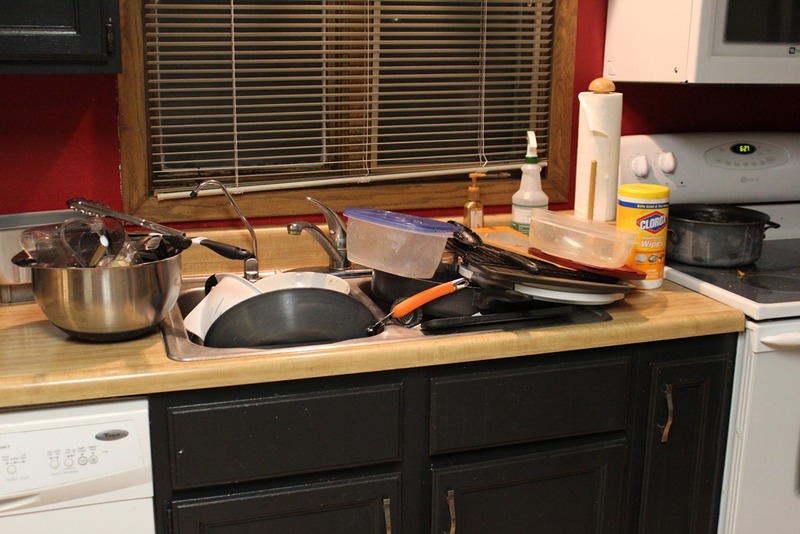 It will make your clean-up a lot easier the next day. Stir and serve! 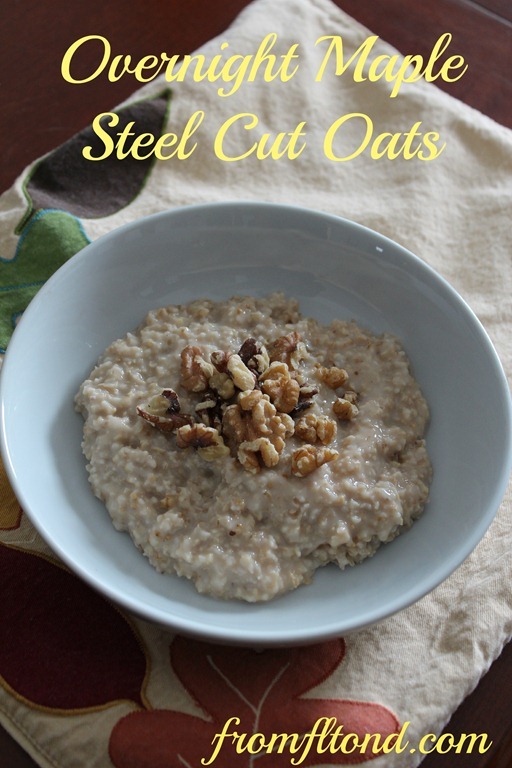 This entry was posted in Breakfast, Recipes, Workouts and tagged crock pot steel cut oats, overnight crock pot steel cut oats, recipe, slow cooker steel cut oats on November 6, 2012 by fromfltond. I used to make instant oatmeal all the time, but now I’m addicted to steel cut oats instead!